After David asked me the biggest question of my life I had to find a way to asks my future bridesmaids that was just a special. After searching the internet high and low I decided to make them some homemade cards with a special message inside that told them just how special they were to me. Sketch out a bridesmaid dress. Cut out, and trace onto colored paper. Using ribbon, make a "belt" around the waist. Cute out a background for the dress so it stands out. Using stamps, write what ever message you want. 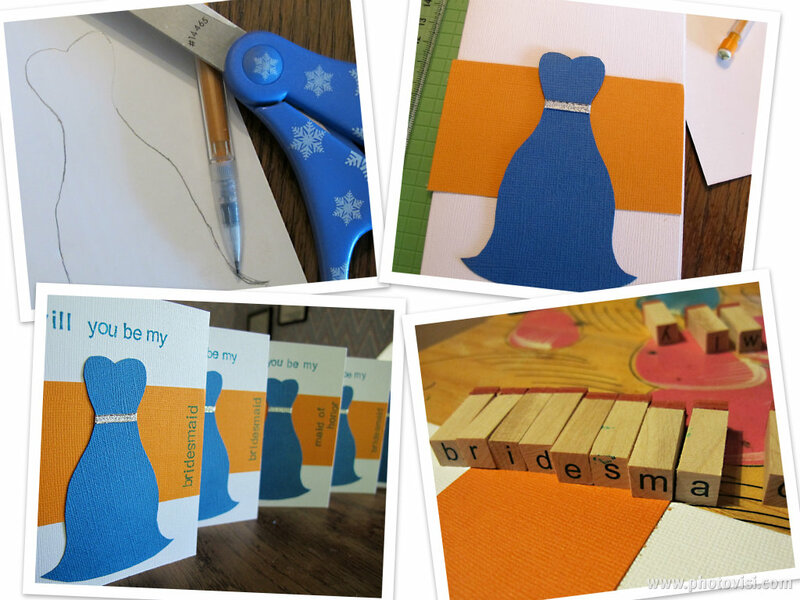 Admire your handy work, and personalize for each bridesmaid. I love this idea and it came out so awesome!